The Crystal Tray is a D.I.Y industrial object made of Luan plywood or Plexiglas and designed to hold multiple glasses in a secured position to avoid spilling or breaking. The project went onto Kickstarter and was successful. The Plexiboard project is about creating an online community for skateboard riders. The Plexiboard project is about transportation, urbanism and giving importance to non-motorized vehicles. 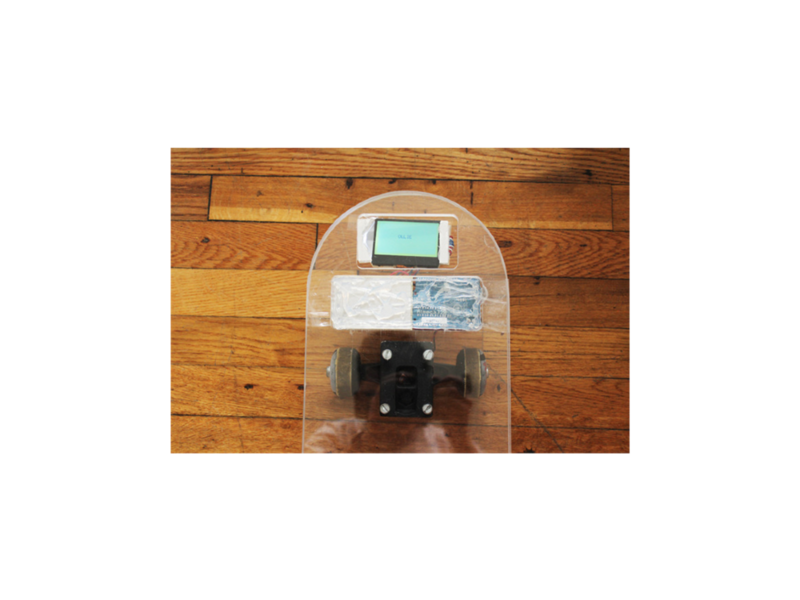 The Plexiboard allows you to ride a new designed skateboard made of Plexiglas. The board is composed of an Arduino, a perfboard, an accelerometer, a gyroscope and a LCD screen. The computer recognizes what tricks the skateboarder is doing while riding (the accelerometer and gyroscope calculates the angles performed and compare them to previously coded tricks). The information is gathered on a SD card, allowing you to update your ranking on a website and therefore starting to correspond with other Plexiboard users.